To many people, their pet is an essential part of their life. 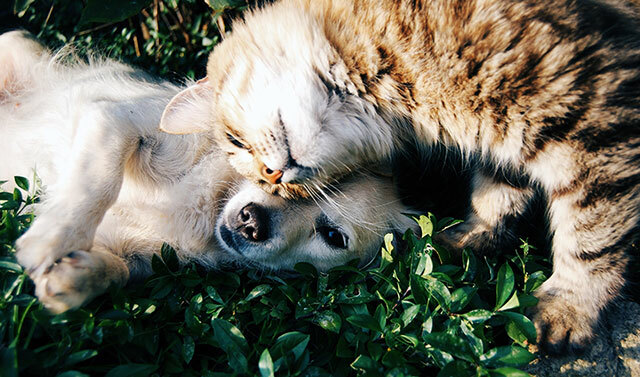 Pets can be great companions, and having them around can help reduce stress. Despite the joys of having a furry friend, for some having a pet can be a double-edged sword. Having an allergy to pet dander is very common, but unfortunately, this could trigger a slew of reactions. However, if you are allergic to your pet and your allergies are not life-threatening, most likely you are not willing to give them up and who could blame you? It’s tough not to get attached to your cute, furry pal as they quickly become a part of the family. Luckily, there are pet allergy tips you can follow to help. While you may love your pet, you may not feel the same way about pet dander. If your furry family member is creating the sniffles, learn how to control your allergies by checking out these helpful pet allergy tips. • Anytime you touch your pet, whether you are playing or petting them, make sure you wash your face and hands thoroughly when you are finished. • If your allergies are severe, make sure you keep your furry friend out of the bedroom and any other room you spend a lot of time in. This may include the family office, or in the kitchen. All in all, restricting your pet to certain rooms can help control the spread of pet dander. • Invest in high-efficiency air purifiers that use a HEPA filter to help filter out the allergens from the air and try to keep it running daily. Also, utilize a vacuum that uses a HEPA filter to help decrease the amount of dander and allergens from your home environment. • If you have to groom or bathe your pet, you may want to consider wearing rubber gloves and a face mask while doing so. In addition, once you are finished make sure you remove the clothes that you wore while you were doing so. If your allergies are severe, you may want to consider taking a shower before you put on clean clothes. • Your beloved pet is probably dirtier than you think especially if they spend a lot of time outdoors. So make sure you wipe down or wash your pet often to help keep them clean and to help limit the amount of pet dander. However, make sure to work with your vet on this one to help prevent your animal’s skin from becoming too dry. • Keep your house as clean as possible. Avoid carpets if you can, but if you have carpets or rugs vacuum them daily, and use a steam cleaner as often as possible. Make sure your pets stay off the furniture, but if you can’t avoid that, invest in covers that are allergen-resistant.